You must have shopped ample times on Flipkart, and used Facebook to connect with your family and friends quite often. Here we are going to look how you can combine and use Flipkart + Facebook to make money online via these two mediums. In case you do not know Flipkart runs its own affiliate program. Once you join this you can make money by merely helping Flipkart sell its products. Its simple and effective way to make money online. Beware this is not a get rich quick scheme and it requires hard work and dedication just as any other money making technique. So without any further delay lets get going. To join Flipkart affiliate program you need to have your own website or blog or a application. 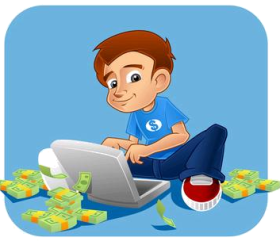 This is the first step in earning money from Flipkart Affiliate Program. Creating your own blog is the simplest and easiest way to get going with the Flipkart Affiliate program. I have done a in-depth series on how to create your own blog which covers each and every aspect of blog making in detail. 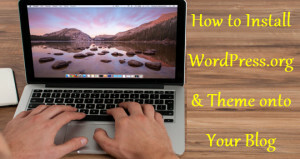 For a quick run through the blog setup process you can check out my post here. Once you have joined the affiliate program, you need to find innovative ways to market your products and make money from it. Here I am going to show you how you can combine Flipkart Affiliate Program and Facebook to make money as an affiliate. Decide on the products you want to promote via your affiliate links. Try to choose a set of products that are similar so that you can focus your promotion to a tailor made audience. Step 3: Invite your friends and family to join the group. Also ask them to invite more family and friends to the group. This is the best organic way to grow your group’s membership. Step 4: Post regular content on the group. Make sure your content is useful. E.g. : Your group focuses on electronics. Then post about how to maintain electronic. How to choose right electronic products, etc. Keep the content varied. Do not post content from your website or blog only. Post others content too. Make sure you are adding value to the group at all times. A stagnant group will not attract users or interaction. 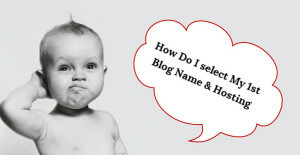 Post interactive content in form of questions, polls to get the ball rolling on conversations. Step 5: Keep the group active by encouraging Q&A, conversation, posts etc. by the group members. Step 1: Interspersed with the other content, post your affiliate link on the group. Make sure to add information about the product, and why people should buy it. Only posting your affiliate links won’t get any sales. Explaining about the product, linking it with the member’s needs & demands, and presenting it in a manner that will appeal to your group members is the key to your success. Step 2: Create event around new product launch/ offers/ sale etc. Invite your group members to join in the event. Also encourage the, to invite in more members. You can also run contest/ giveaways around new product launch. Step 3: You can use Mass Planner software to automate the process of facebook promotion and get more members join your group. you can check more details here on how to make money using Facebook. Step 4: Post about your group on other groups with similar interest. This is another amazing way of getting some organic traffic for your group. There is no better way to reach out to like-minded people than posting on other similar groups. However do this with caution and in a tactful manner, as other group owners might delete your post if they feel you are poaching their audience. Step 5: Also personalize your group interactions as far as possible. Send out birthday greetings to members. Use @ feature when replying to post. The better you connect with the members the more they will be open to your sales pitches. If you are regular with posting and provide genuinely useful info, your group members will be glad to buy stuff from you. Maintaining and managing a successful group requires immense amount of time and resources. I use Mass Planner an excellent Facebook tool for this purpose. It allows me to auto approve friends, schedule content for regular posting, send out happy birthday wishes to all my friends and much more. 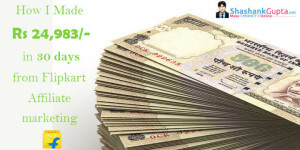 So this is one of the smart ways you can use Facebook to earn affiliate income from Flipkart. Do write and tell me what’s your favorite method of maximizing your affiliate income?